Samford University psychology professor Amanda Howard shared her expertise in adoption and foster care in a series of presentations to the Australian government in November. At the invitation of the Adopt Change organization, she sought to help Australian policy makers and practitioners understand the value of more trauma-informed services for children in the child welfare system, and the importance of creating truly permanent homes for children in care. “My research focuses on understanding interpersonal processes underlying mental health and quality of life for youth in foster and orphanage care, but I also research best practices on providing trauma-informed services across the child welfare system,” Howard said. That specialty has gained national and international attention, especially in Australia, where the adoption and foster care system is overwhelmed. On a 2014 visit to Australia, Howard met with the prime minister and important figures in child welfare. 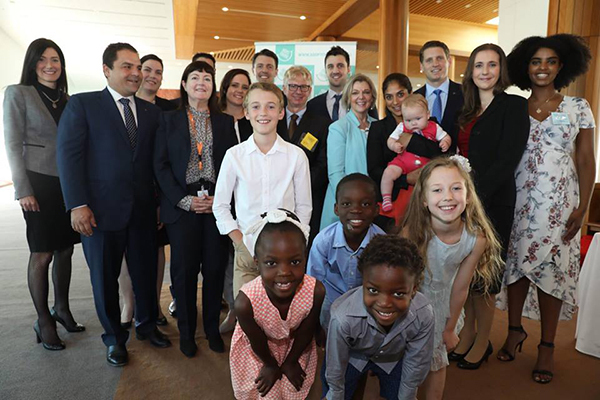 This year, she addressed the Australian Parliament, spoke to government agencies and adoption organizations, and presented a nationally televised webinar. Closer to home, Howard has consulted with the Texas Commissioner of the Department of Family and Protective Service, and served as keynote speaker at the Empowered to Connect conference earlier this year.